So… every Saturday is our cheat day… Tony and I don’t worry about carbs, calories, whatever. 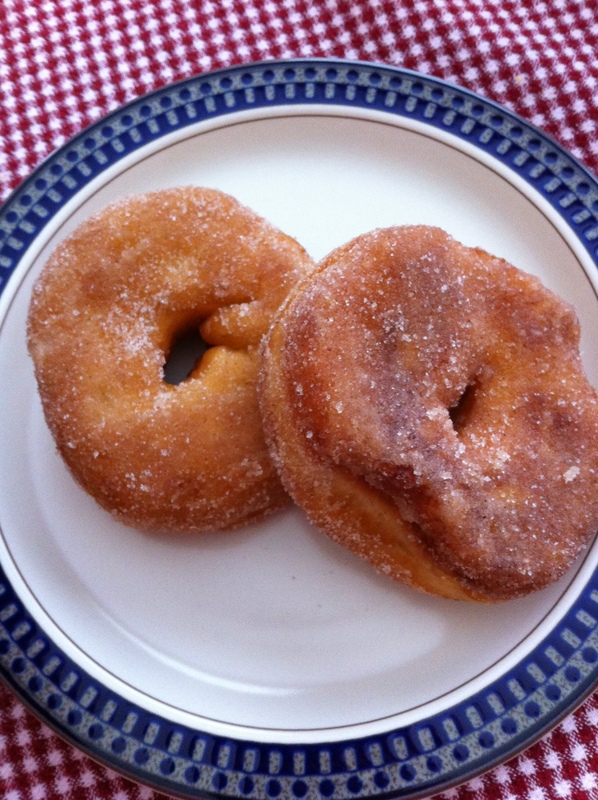 So, I thought to celebrate such a joyous occasion, I would try making homemade “foolproof” doughnuts for breakfast. Look how gorgeous they were! You can’t really tell they were still doughy in the middle from the pic, but they were. 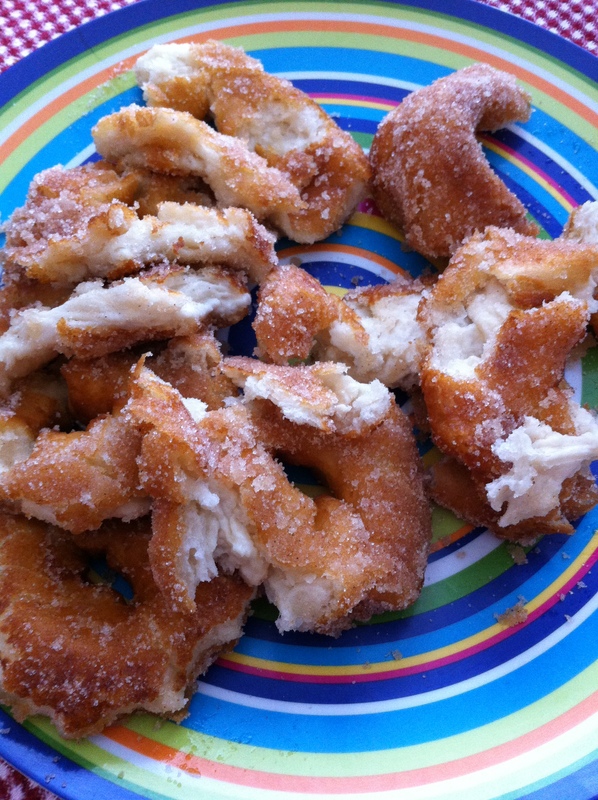 Maybe I could have just let Tony roll with the “filling” idea, telling him I injected cream cheese…. oh well. Cheat day dinner? Looking forward to delicious pasta with friends we haven’t seen in months!